President Muhammadu Buhari has approved the compulsory retirement of Honourable Justice A. F. A Ademola of the Abuja Division of the Federal High Court and the dismissal from office of Honourable Justice O.O Tokode of the Benin Division of the Federal High Court. 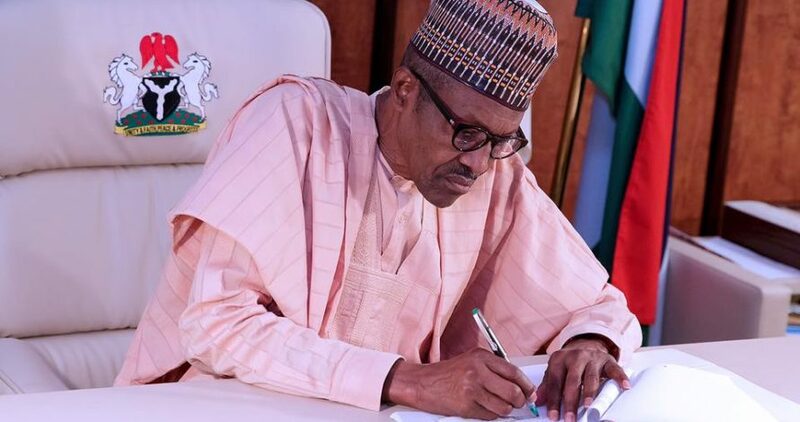 A statement by the Senior Special Assistant on Media and publicity, Garba Shehu, said that the President’s approval followed recommendations from the National Judicial Council (NJC). The statement reads “The disciplinary actions on the two Justices are in pursuance of section 292 (1) (b) of the 1999 Constitution of the Federal Republic of Nigeria (as amended). The President urged judicial officers to be alive to their responsibilities and eschew corruption in the discharge of their duties.